Just five writers and one photographer remain at the online-only news outlet, which formed in the collapse of the print Seattle Post-Intelligencer newspaper in 2009. SeattlePI.com, the website of the former print Seattle Post-Intelligencer newspaper, is losing almost half of its staff— including all of its leadership — as the newsroom’s corporate overseer attempts to make more money. SFGate is an outlet of the Hearst Corporation — a media conglomerate that owns dozens of newspapers, magazines, websites and television stations across the country — and has overseen the Seattle newsroom’s editorial content for roughly two years. The departures come as widespread layoffs and uncertainty in newsrooms across Seattle define the city’s news market. Among those leaving the SeattlePI.com are Senior Producer Shannon Fears, Executive Producer Sarah Rupp and Senior Editor Levi Pulkkinen. Two other employees, a photographer and reporter, turned in notice of ending their employment soon. And former staffer Kirsten O’Brien left earlier this year for a producing job at The Seattle Times. That leaves five writers and one photographer, covering all Seattle affairs, from politics to crime to sports to transportation. The email, written by SFGate Executive Producer Brandon Mercer, said “two new editorial assistants” will help the remaining staff with their reporting, considering the new holes in leadership. According to sources who asked not to be identified because of their affiliation to the P-I, SFGate management pushed SeattlePI.com staffers to prioritize stories that drive quick hits or go viral online, taking time away from deep reporting that defined their journalism years ago. Mercer, who declined to comment for this story, addressed the criticism in the email. Also, Mercer said the newsroom is moving to a new work space from its office at Third Avenue and Broad Street, as well as improving its technology so readers have a better experience and the journalists know more about how people are interacting with their stories. Pulkkinen, who also covered courts and crime as a reporter, also declined to comment, though he reflected on his 11 years at the P-I and gave advice to his former colleagues on his Facebook page. “Do not adopt the pessimist’s view, that lighting the world through story is a challenge beyond our means,” he wrote. SeattlePI.com is not alone with its financial woes. Journalists across the city and region are scrambling for new ways to monetize content and strengthen the public’s trust in what they do, while news outlets on a broad scale shift their business models in an attempt to keep up with the demands of online news. The state’s largest newsroom, The Seattle Times, lost almost two dozen people, ranging from photographers to sports writers to graphic artists, last year while facing falling ad revenue. Just months before, KOMO cut 10 positions, including three investigative-team members in its newsroom. NBC News shut down its Seattle-based Breaking News unit, and The Seattle Globalist, a nonprofit news site, at one point had to search for new money streams after the University of Washington announced it would no longer fund it. Northwest Cable News closed at the beginning of last year. 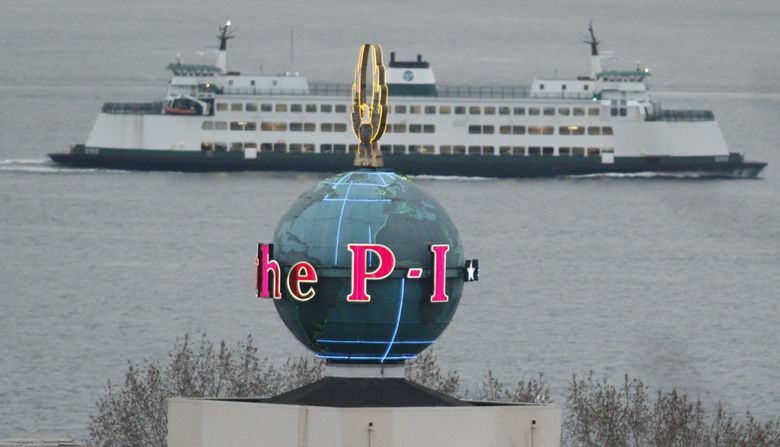 The Seattle Post-Intelligencer, which began printing in 1863, evolved into the online-only SeattlePI.com in 2009, when Hearst put the newspaper up for sale. Staff shrunk considerably, and a joint-operating agreement with The Seattle Times over advertising staff and printing equipment ended. “Newspapers may have fallen on hard times, but no one doubts their value in our democracy. Across the country, newspapers have cut staff and shuttered their doors, and we are all a little poorer … Whatever the outcome, this is a big change for Seattle,” former Seattle Mayor Greg Nickels said in a statement at the time.